Dating is the stepping stone to a meaningful relationship. It starts with phone calls, text messages, graduates to dates in a restaurant or movie theatres and then becomes something so meaningful that it can last for a lifetime. Dating is the time period when couples get to know each other, their likes and dislikes, the hobbies and interests, their quirks and talents. It’s a magical time when hormones make butterflies flutter their wings in your stomach, it’s beautiful and something to be cherished. However, not all dating experiences are positive and breathtaking. Some are terrible, but they make you realize what you don’t want in life. 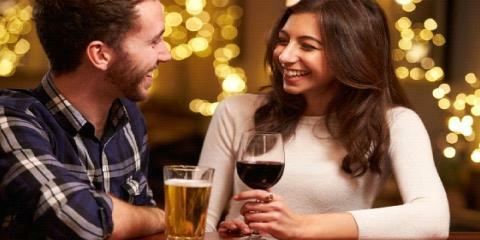 Take these dating quizzes are find out who will you be most compatible with, the person you are dating are they good for you and how can you make your dates more interesting. What Type Of Dating Personality Do You Have? What Is Your Ideal Date Night? Do You Have Regular Date Nights? Dating Quiz- Are Your Really Ready To Start Dating Again? Are you single? Do you want to start dating again? Take this quiz and find out, what you think about dating! What Is Your True Love's Name? What Is My Future Husband's Name? What Age Will I Get Married? How Healthy Is My Marriage?